Autumn fruits, warm apple cider, and gin… Year after year sloe gin has been the hot topic of conversation when it comes to autumnal home brewing. This year we say it’s all about damson gin! *The traditional method of picking your damsons for gin is after the first frost. However, if you notice that your damsons are starting to go out of season quite quickly don’t worry, because you can always freeze them at home. 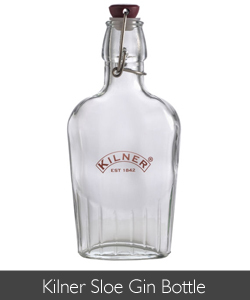 It is extremely important that you use clean containers whilst making ciders, beers and ales; gin is no exception. 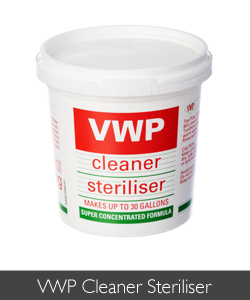 Fill your 3.0 L Kilner Jar with warm water and then add 3 tea spoons of VWP Cleaner Steriliser to the solution. Once you have clipped the lid closed (making sure you have attached the rubber seal to the jar) give it a good shake! You can either leave the solution in the jar overnight or follow the containers listed instructions, entirely up to you. Once you know that your containers have been sterilised, rinse them out with clean tap water. Make tiny holes in the damsons (all over) using a sterilised needle or sharp fork. The tiny holes in the damsons will allow for the juice inside to seep out and mix with the gin and sugar solution. Place all of your pierced damsons and caster sugar inside the Kilner jar then add the gin. Once all of your ingredients are in the jar, clip it closed and give it a shake. Every day you should give your jar a good shake and leave it to rest. 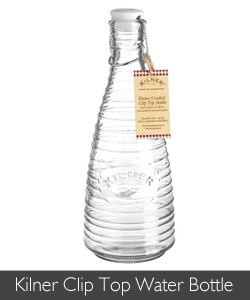 Store your gin a cool dry place. The longer you leave your gin (either damson or sloe) solution to mature the better it will taste. When you like the taste of the gin, then you know it’s ready. When you think your gin is ready, strain the liquid thoroughly using a muslin square and sieve. 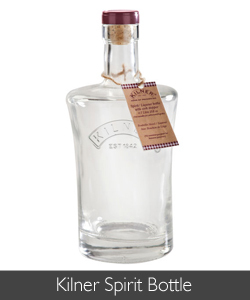 Why not give your tasty gin to loved one for Christmas or New Year? 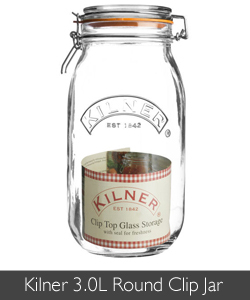 All you will need is a stunning Kilner preserving bottle, add a pretty ribbon, and a festive gift tag. Trust us, they will love it! 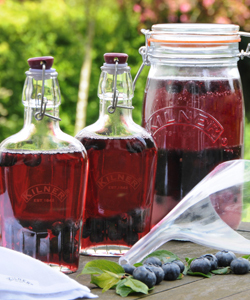 Damson Gin, Home Brewing, Kilner, Kilner Jars, Preserving, Sloe Gin. Bookmark.